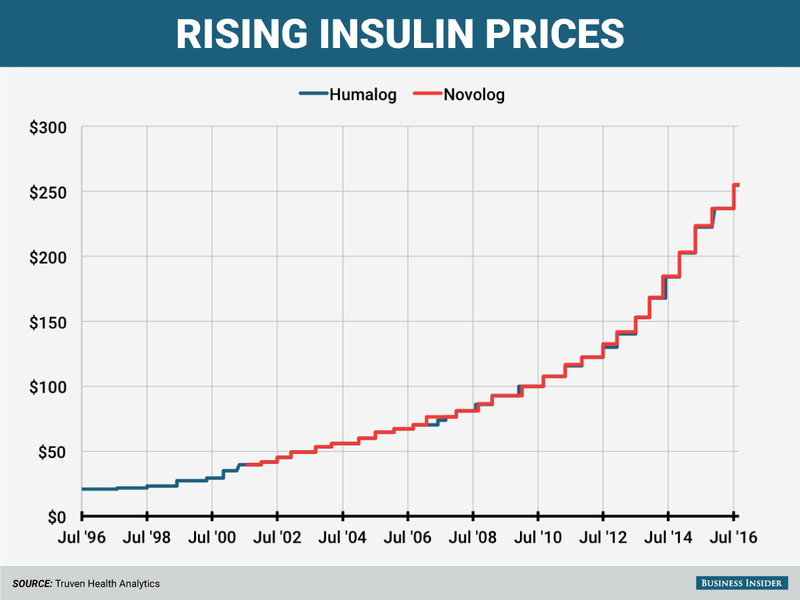 Insulin list prices have skyrocketed in recent years--but it’s not drugmakers reaping the increases, they say. 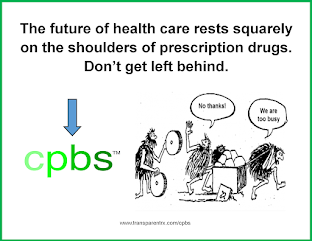 That would be PBMs, the latest villain in the ongoing U.S. drug-pricing debate. 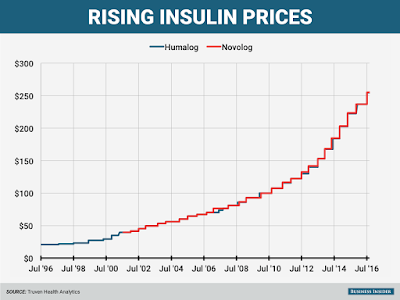 Targeted by critics complaining of big increases in the cost of insulin, pharma’s pointing the finger at pharmacy benefits managers, which are demanding larger rebates in return for access to their covered patients. It's those demands that are pushing drugmakers to raise their list prices, Enrique Conterno, president of Eli Lilly’s diabetes business, told The Wall Street Journal. Take Lilly’s long-successful insulin Humalog, for one. Its list price currently sits at $254.80 per vial, more than double its list price in 2011. But with rebates and discounts factored in, Lilly nets less in Humalog sales now than it did in 2009, Conterno said. The Indianapolis drugmaker's competitors--Lantus-maker Sanofi and Novo Nordisk--are feeling the pain, too. Both have already warned investors that falling net prices in the U.S. would hurt profits going forward; the average U.S. net price for Lantus is set to fall 10% this year after tanking by 17% last year, the WSJ notes, citing Bernstein estimates. And that’s after a list-price jump to $248.51 per vial from $114.15 in 2011. The bigger problem? Thanks to a fragmented health insurance system, uninsured patients and those with certain healthcare plans are bearing part, if not all, of the increases themselves. “There are more patients under high-deductible health plans and who may have a greater copay and coinsurance, and they’re being exposed to a larger share of the prices as well,” Harvard Medical School professor Aaron Kesselheim told the newspaper. As the diabetes space continues to heat up, many industry watchers expect to see PBM formulary management tactics continue. They’ve already taken a serious toll on drugmakers in other spaces, too--such as hepatitis C and respiratory, where high prices and a wealth of competition have made payers aggressive about negotiating discounts. But as vocal pharma pricing critic Steve Miller, CMO at leading PBM Express Scripts, told the Journal, his company is all for keeping net prices low despite the discount. “We never tell pharmaceutical companies we want high sticker prices. We want a low net price,” he said. Tyrone's comment: Every PBM wants a low net price. 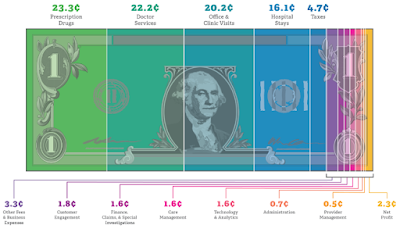 The difference though between traditional (any non-fiduciary PBM) and fiduciary PBMs is the extent from which payers benefit from the low "net" price acquired by their PBM. In a fiduciary arrangement, it's 100% benefit and in all others it's a crapshoot. Consider this, any PBM that generates cash flow from ingredient costs and/or earned manufacturer revenue (rebates) increases their clients' net plan costs. So while I agree with Dr. Miller's point, it is somewhat misleading. He did, however, acknowledge that “certain patients get caught in the middle of this, and we have got to figure out how to put guard rails around that.” Setting a maximum pharmacy price could be one such guard rail, he said.